ASTANA, September 9. /TASS/. 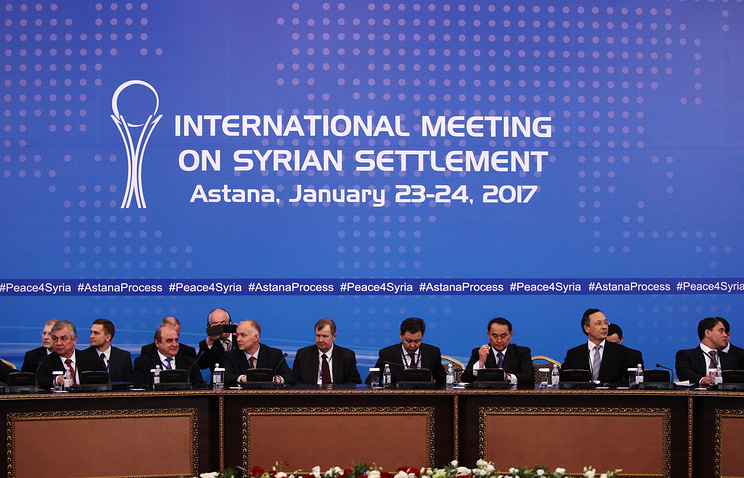 Representatives of the Syrian armed opposition have confirmd participation in an international meeting in Astana on settling the conflict on Syria, Kazakhstani Foreign Minister Kairat Abdarakhmanov told reporters on Saturday. "The Turkish Republic is also doing intensive work on the contents of the forthcoming talks, including the participation in them of the Syrian armed opposition," he said. "They've have confirmed provisionally they will take part but practice that has taken shape here shows information on this wil most likely come at the beginning of next week. ".